Whether you’re a small group building a startup, a freelancer, or any form of an entrepreneur, too often we are working alone and collaborating in digital worlds through solitary confinement. It doesn’t sound like a lifestyle that would encourage growth, but is the sad truth for many with the savings of bootstrapping and being as lean as possible. Because of the digital revolution, what we once had to do within a group is now possible through isolation without constraints of geography, and while those are some of the benefits, the cons are very dangerous. If you’re working alone, one of the most obvious solutions is to find a partner or co-founder, but sometimes that’s not the best option and finding the right personality to fit your needs in a business is even more difficult. One of the most up-and-coming solutions to collaboration over the past few years has been community, more specifically co-working. Rocketspace in San Francisco – RocketSpace is an all new, all inclusive office environment designed solely for tech and new media companies from 1 to 30 people. Coworking spaces are organizations that offer membership to a community of like-minded people in a central gathering space. And recently it has become part of a global movement that generally subscribes to core values of community, openness, collaboration, sustainability, and accessibility. The market is focused on people who want to access to a place and a community to plug into on their own terms, that could mean individuals or small teams whose work doesn’t require much more than a desk and an internet connection. And the spaces themselves are differentiated by the eco-system within each coworking community. To assist in the search for a suitable work environment and community that fits an entrepreneurs needs and to assist those with open office space to share find reputable people that fits into their community is ShareDesk: a web app that encourages users to look for coworking space that best suits their work style and personality. 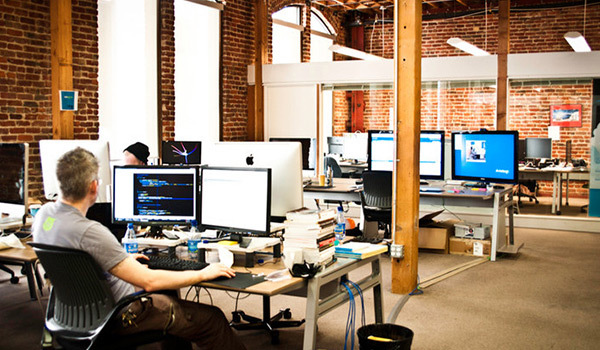 Launched in 2011 from Vancouver, Canada and last month released to the public in beta, ShareDesk has become the “fastest growing platform for shared workspaces.” With over 800 properties in more than 70 countries and 5,500 new users every month, ShareDesk is a global marketplace for shared offices and workspaces that lets organizations monetize their idle capacity, and for people to discover and book them instantly for a few hours, a day, week, or monthly. 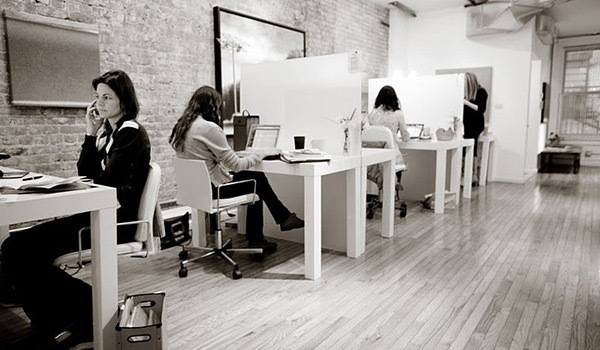 In Good Company – Coworking Space in Flatiron, New York: From $150 a month. ShareDesk workspaces build a community around their physical facilities, a physical professional network. 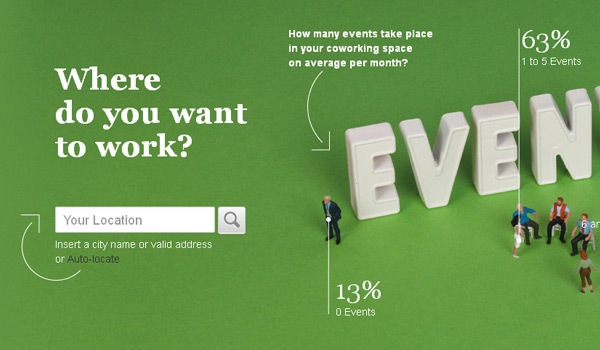 With ShareDesk Connect!, users are now able to look beyond the basic criteria of location, amenities, price, space, and discover who is working at the space, what they do, and whether the space is good fit- incorporating industry relevance into the decision criteria to help users decide on their next workspaces. ShareDesk does an incredible job at making it easy to find and learn more about a space, but how does one judge if it’s a right fit. ShareDesk is now launching a new and very much essential aspect to their application as a real time discovery community network; ShareDesk CONNECT!. With community and social features to help you better connect with other mobile professionals around the world. As a real-time connectivity platform, prospects looking for work space will get a feel of the general culture; discover who is working in a particular workplace, and allow for direct connection with them – resulting in communities of likeminded individuals to grow business opportunities, creativity and general mental health with collaboration. As more people learn about ShareDesk we can expect even more and more listings to pop-up on the platform, but if you’re looking for space or have excess space to offer, www.sharedesk.net is the global platform that will help find the best fit for everyone. Coworking is a movement, with a unique culture that values people and content that extend beyond desks and spaces. Its an opportunity to grow business, knowledge, creativity and a phenomenal solution for everyone to be more successful.